But Prada we can't all afford so in order to address issues relating to equality and fairness, I have thrown together a mix of affordable and definitely not-so-affordable pieces (ahem, the Alaia.) 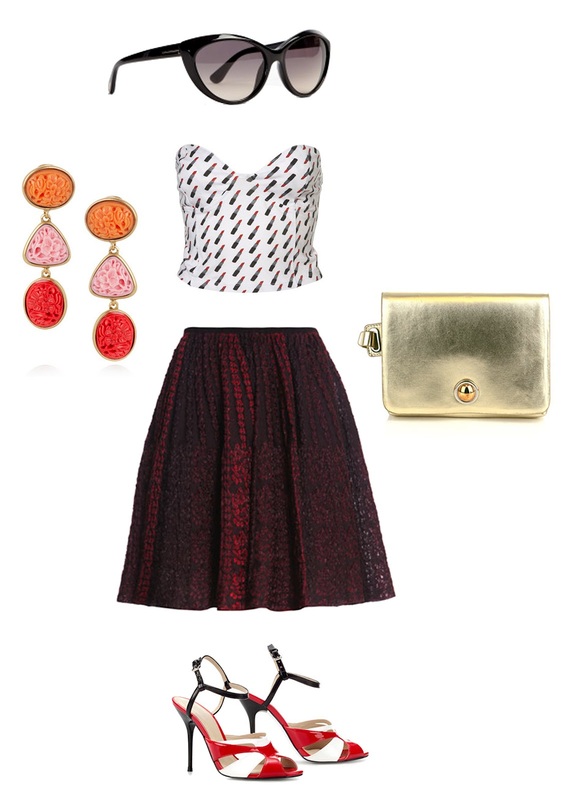 I have named this 'glam Americana' for reasons which I am about to explain. When I was 7, I ran up to mummy with my t-shirt tied in a knot and authoritatively announced that I would be wearing a crop top from that day on. Needless to say, she undid the knot, told me to keep my tummy tucked away and sent me to my room to revise my times tables. And as I hit my teens I was grateful to have been parented to safety and gently nurtured towards the greener pastures of covered midriffs. And yet, little did I know that only a few short years later I would be feasting my eyes on a bevvy of bare midriffs and covered bosoms on the Prada SS12 catwalk. The point of this childhood anecdote? Ask yourselves this; What do you feel when you utter the words crop top in your head? 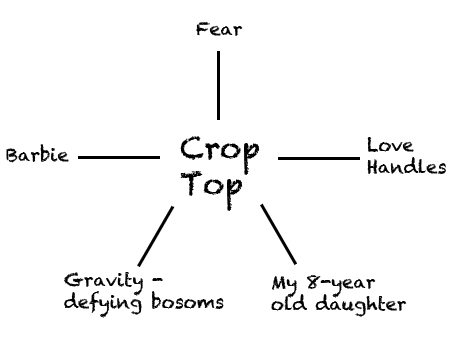 If you were to produce a mental word map of 'words relating to crop-top', would it go something like this...? I thought so and I feel your pain, because my friends, we are no longer 7 year olds. So, if you are fearful now, then fear no more because all you need is a little injection of WHAM BHAM THANK YOU MA'AM GLAM and all your childish fears will melt away before you can say 'fondue'.